> Hockey > Should the Sabres try to get Jacked up? The 2019 NHL Draft Lottery has been set. The New Jersey Devils will pick first overall for the second time in the last three years and their target will undoubtedly be the US National Development Program’s Jack Hughes. Fresh off one of the most disastrous seasons in the team’s history and one that may have even out-stank last year, the Buffalo Sabres fell two spots in the order and will pick seventh overall. Buffalo also owns the St. Louis’ first round pick via the Ryan O’Reilly trade last summer, the position of that pick is yet to be determined. 2018-19 was not a good season in any shape or form for Buffalo. Fans of the team were fooled into believing their squad was a Stanley Cup contender because of a fluke 10-game winning streak in November that propelled Buffalo to first place in the NHL. The Sabres won two games in a row just once after this and it wasn’t until the final two games of the season. Head Coach Phil Housley was given the boot after the last game and joined the growing list of Sabres coaches canned after two seasons. This is despite General Manager Jason Botterill admitting in his exit press conference that Housley’s shortcomings were in part his fault. 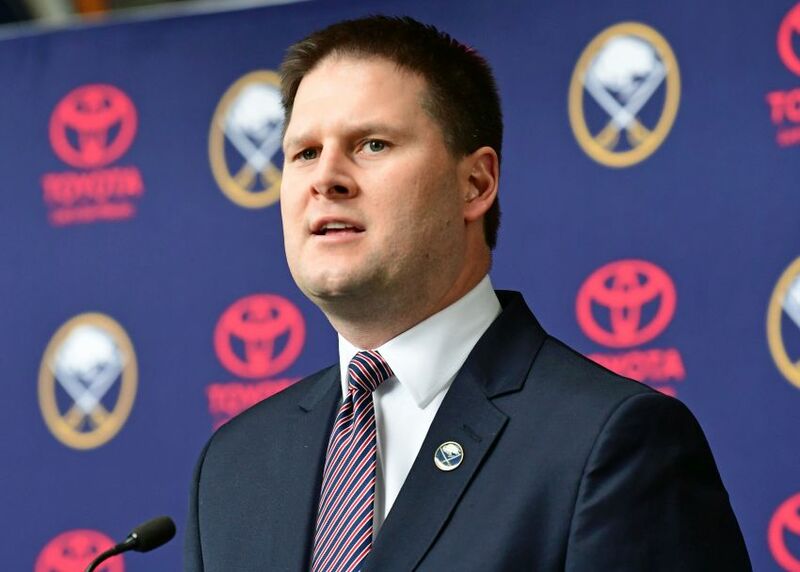 GM Jason Botterill has a plethora of questions to answer this summer. I give Botterill credit for admitting his mistakes, something that Tim Murray before him never would have done, but it makes Housley’s firing all the more baffling. Why did the Hall of Famer get sacked if it was J-Botts’ fault? We can debate this all day, but it makes one thing abundantly clear. If Housley was Botterill’s bullet proof vest, he has lost it and the target is now solely on him. If the 42-year-old doesn’t want the fans giving up on him like they did Murray, he will have to make a lot of moves this summer to revamp the mediocre roster he took responsibility for. It may take quite a bit to orchestrate, but there’s one bold move he can attempt that turn plenty of heads: Buffalo trades up to get Jack Hughes at first overall. I know that off the bat this sounds ridiculous. New Jersey is in no better state than Buffalo right now and it’s very unlikely that Devils GM Ray Shero is even answering his phone if he thinks someone is calling with an offer. Hughes is the best player available this year and putting him alongside Taylor Hall and Nico Heisher makes New Jersey instantly more legitimate. But, in the immortal words of the Million Dollar Man Ted DiBiase, “Everybody has a price.” If Buffalo could make a good enough proposition, Shero will accept. The Sabres have a better chance than most other teams at pulling this move off for they have more at their disposal. The 2019 Draft appears to be deeper than the last two before it and a pair of first round picks hold far more value than it would have with a lesser talent pool. Hughes is the piece de resistance, but Kappo Kakko, Kirby Dach, Trevor Zegras and Alex Turcotte have drawn a fair bit of attention as well. With two first rounders, Shero could land any combination of these players if he does the right amount of wheeling and dealing. 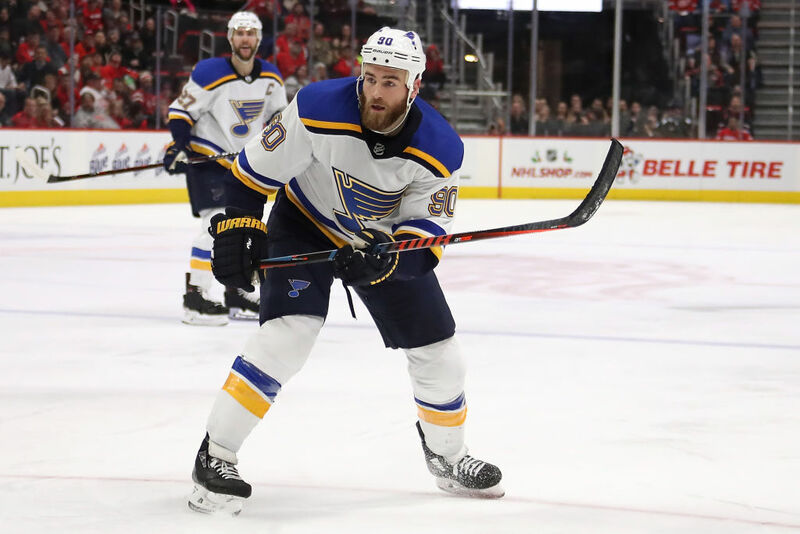 Buffalo owns St. Louis’ first round selection this year via the Ryan O’Reilly trade last summer. The Sabres could also sweeten the pot because they are rife with potent young players that have been held back by organizational incompetence. Alexander Nylander, Casey Mittelstadt, Tage Thompson and Victor Olofsson are just a few you could name, and that’s just counting guys with a year’s experience or less. Sam Reinhart or Rasmus Ristolainen could be thrown in as well. Reino especially could make sense as he has one year left on his deal and it still remains unclear if Buffalo will lock him up long term despite his success playing alongside Jack Eichel. Is the opportunity to draft a player like Hughes worth more than the opportunity to draft two players only slightly lesser and getting another talented young player as well? Fans of the Devils have said no if you consult the poll that JR posted on our Twitter. But would they reconsider if the opportunity was there? The odds of something like this happening aren’t high at all, but it would pay big dividends for Buffalo if it somehow did. Hughes possesses incredible vision and hockey sense that allows him to see plays developing and turn them into scoring opportunities. Ability like that in a 17-year-old kid is remarkable and a sign that he will be an elite player. Buffalo’s biggest problem all throughout this season was a lack of secondary scoring beyond its top line. A player like Hughes could be a solution to that issue and bring up the performances of those around him. A proven talent he is not, but joining a nucleus of players like Eichel, Reinhart, Jeff Skinner and Rasmus Dahlin would help the kid mature quickly. I doubt this would happen because if NJ even is taking offers for the top pick they would probably ask for the farm in return. But as far as Botterill goes, it’s a move he should consider at the very least. Even making an attempt for Hughes would show fans that the GM means business and isn’t messing around anymore. The Sabres need a lot of work this offseason and Botterill could get it off to a great start by getting his team the opportunity to draft another potent young playmaker who would fit in nicely next to the Jack they already have. In other Sabres news, Buffalo’s search for a new bench boss will continue, as it has been reported that former San Jose and Edmonton coach Todd McClellan turned the opportunity down, though no one would blame him. Former New York Rangers coach Alain Vigneault is the most high-profile name available and it will be interesting to see if Buffalo tries to court him. Of course he will have settle for just a two year deal as the Sabres don’t keep coaches longer than this.